This pass weekend was a pretty big weekend for me! I spoke in church. I decided to surprise Riley and not tell him I was speaking… which is a HUGE DEAL and milestone. Every time I have to give a talk or public speak it always is a downward spiral of stress and anxiety. I try to coax Riley to do my talks for me and get sooo sick to my stomach over speaking. He truly becomes my psychiatrist and coach for the last half dozen talks. BUTTT… I decided not to tell him and then they announced it and he turned to me and was like “What! Did you know??! Are you prepared? !” His face was pretty classic… but I pulled out my written talk and notes and then started to CRY hahhaa… all my built-up anxiety came up at that moment. (We don't sit on the stand when we speak in our ward, just in audience and then go up). Luckily, I had a speaker ahead of me to regain my composure and focus on my message and ask for divine assistance in speaking and for the spirit. About a year into my mission I found myself living in a small town of Australia known as Townsville. This place was known for its blistering hot temperatures and the great views from its beaches and crocodiles. I had been in this area for about 6 months with my companion and we had worked very hard to build up this small branch of the church in which we were a part of. One day, in the middle of the transfer, I received a random phone call from the mission president. He informed me that the Lord had a special assignment for me. I was to pack my bags immediately and go jump on an airplane bound for a place named Thursday Island. I did so right away. The last time missionaries served in this area was the before the 1990s. After traveling on 2 airplanes, a bus, and a boat, I arrived to my destination. Thursday Island is a tiny little island located in a small group of islands known as the Torres Straight Islands just above Australia and right below Papa New Guinea. The sun was blazing, the air was humid, and the sights were breathtaking. The whole island is 3 1/2 square kilometers or 1.4 square miles. I walked up the Boat dock and met my new companion who had arrived on the island not long before me. He had already secured a place for us to stay in a small apartment. It was no bigger than the size of 2 parking spots put together. It was small, but it was all that we needed. We immediately went straight to work. Success fell from heaven like a fire hydrant with no nozzle restraining the water. It wasn't long before everyone on the Island knew who we were. The word gets around fast on an island where you can run the entire perimeter in 30 minutes. Because of travel regulations we were not able to much luggage with us. The small amount of supplies we brought was quickly depleted. We had investigators that we were teaching, but we didn't even have a Book of Mormon to give them to read. This was a problem. We spoke with the mission office and asked for them to mail us a box of supplies. The answer we received was not to our liking. Because of our location being almost 4,000 kilometers away from the mission office and president, the supplies would not arrive on the this remote Island for 3 weeks. Teaching without Book of Mormons was hard. We would tell the islanders all about this wonderful candy of a book the Book of Mormon was, and then we would have to deny their requesting to get one because we didn't have any to give out. We knew that the Lord had sent us here though and had to keep moving forward and prayed that we would be able too. On one particular day my companion and I were riding some borrowed bikes down the street. We had met an older man earlier in the week and went back to help him in the yard. He was not a member but very nice, he had asked us to go through an old shed in his backyard and clean it out with him. We would slowly pull items out one by one and he would distinguish what would be kept and what would be thrown away. When we were about halfway through clearing out the packed full shed of mostly junk, my companion and I stumbled across a wooden box. When the man saw the box he had a look of surprise on his face. He had never seen this item in his life, and he had lived there his entire life! We pulled it out and set the box on the table and dusted off the top of it. It was made of wood and had old rusty silver latches on it. The man told us to open it and see what was inside. We undid the latches and came to find the box was completely full of Book of Mormons. The man was confused. He had never heard of this book before. Meanwhile my companion and I were freaking out!! Do we know how the Book of Mormons got there? No, but we know that the Lord has something to do with it. We then explained to this man that this is the whole reason that we were there serving missions on this little island in the the middle of no where, where the church virtually did not exist at all prior to our arrival. We are here to share this book about Jesus Christ with everyone. It was pretty crazy, he took it as a sign he needs to join the church and start by reading this book. This story gives me goose-bumps every time I read it! I testify that the Book of Mormon is truly the word of God. It contains the answers to life’s most compelling questions. It teaches the doctrine of Christ.5 It expands and clarifies many of the “plain and precious”6 truths that were lost through centuries of time and numerous translations of the Bible. The Book of Mormon provides the fullest and most authoritative understanding of the Atonement of Jesus Christ to be found anywhere. It teaches what it really means to be born again. From the Book of Mormon we learn about the gathering of scattered Israel. We know why we are here on earth. These and other truths are more powerfully and persuasively taught in the Book of Mormon than in any other book. The full power of the gospel of Jesus Christ is contained in the Book of Mormon. Period." Close Quote. Brother Berrett states further, “It is a book that has aroused a storm of protest. It has done what the Prophet Joseph said it would do. It has divided men into two camps—those who are for it and those who are against it. There have [possibly] been more books written against it than against any book ever published in America. … On the shelves of the Church Library in the Church Office Building there are more than 1,500 [anti-Mormon] books, each of which, in a portion of its pages, makes an attack on the Book of Mormon. Fifteen hundred volumes by fifteen hundred separate authors. ” Close quote. That story and data are from 1938...., which is such a long time ago! Today we have the internet at our fingertips and in a google search access to literally millions of anti-mormon literature and attacks on our religion and especially The Book of Mormon. There is a huge broadway production called the BOOK OF MORMON MUSICAL that is completly ir-reverent, vulgar and profane. I served my mission in New York, there was billboards and buses lined with ads for the musical. At the same time the church put out the "I am a Mormon Campaign." I loved that. We never protested back, as a religion, about the musical but instead proclaimed that "I AM A MORMON" and encouraged people to instead actually read the book and really find out what it is really about. Why do you think there is so many attacks on this Book? Why has Satan gone through such effort? Or personally for me, Why is there so many distractions to keep me from making time to read and study the Book of Mormon? Because it is true and so important! We need it!! Every day. In the Book of Mormon there is a story of the Lehi's dream about the tree of life. In the vision there is a mist of darkness that arises and the view to the tree and fruit is obscured from the travelers. One of the principles points of the story is that the successful partakers of the fruit withstood distractions and didn’t listen to the tauts from the great and spacious building. They "pressed forward continually holding fast to the iron rod that runs unfailing along the course of the true path" to the tree of life. 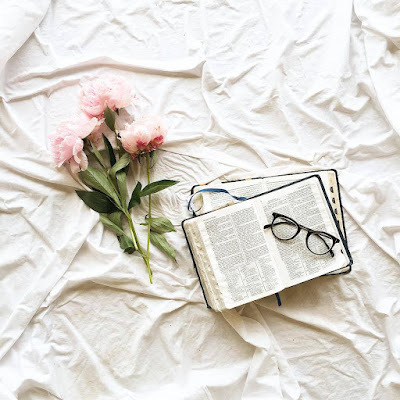 Whenever I hear anyone, including myself, say, “I know the Book of Mormon is true,” I want to exclaim, “That’s nice, but it is not enough!” We need to feel, deep in “the inmost part” of our hearts,12 that the Book of Mormon is unequivocally the word of God. We must feel it so deeply that we would never want to live even one day without it. I might paraphrase President Brigham Young in saying, “I wish I had the voice of seven thunders to wake up the people”13 to the truth and power of the Book of Mormon.